People who stay up late and have to drag themselves out of bed are likelier to die younger than those who rise and set with the sun, according to new research. A study of nearly half a million people in Britain found that night owls had a 10 percent higher risk of dying in the 6.5-year study period than "larks," or people who have a natural preference for going to bed and waking up early. 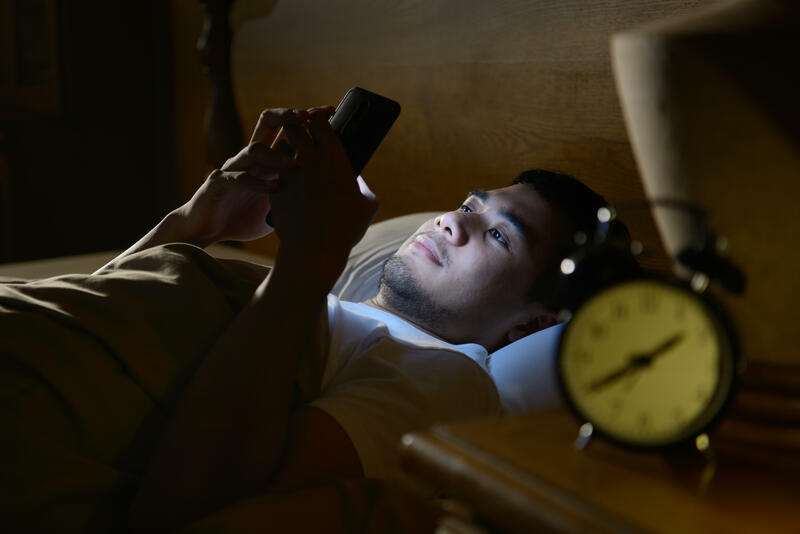 "This is a public health issue that can no longer be ignored," said study co-author Malcolm van Schantz of the University of Surrey, arguing that "night types" should be allowed to start and finish work later in the day. "Night owls trying to live in a morning-lark world may (suffer) health consequences," said fellow author Kristen Knutson of Northwestern University in Chicago. The duo analyzed information on more than 430,000 people aged 38 to 73 from a public database. The participants had defined themselves as either "definitely a morning person" (27 percent), "more a morning person than evening person" (35 percent), "more an evening than a morning person" (28 percent), or "definitely an evening person" (9 percent). Deaths in the group -- just over 10,500 in total -- were documented for six and a half years. The night owl group, the team found, had a 10 percent higher risk of dying than those in the early-morning group. People in the late-night group were more likely to suffer from psychological disorders, diabetes, and stomach and breathing troubles, and they slept fewer hours per night. It's not the first study to find health differences between early birds and night owls. A 2017 study out of Finland found that morning people tend to eat better and earlier in the day than late risers, leading to a higher risk of obesity for night owls. Previous research has found that genetics may play a big role in determining whether someone is an early bird n or night owl, but environmental and lifestyle factors are also likely at play. If your natural tendency is to be a night owl, the study authors suggest shifting behavior to make sure you are exposed to light early in the morning but not at night. Keeping a regular bedtime, even on the weekends, can also go a long way in changing sleep habits. The researchers also suggest that society could make some changes to accommodate people's body clocks. "If you can recognize these (types) are, in part, genetically determined and not just a character flaw, jobs and work hours could have more flexibility for owls," Knutson said. "They shouldn't be forced to get up for an 8:00 a.m. shift."